It’s fair to say that joint pain is a serious inconvenience. Whether it comes and goes or is a constant unwanted companion, the pain that comes with stiff or inflamed joints is not something you want to deal with. And yet, joint pain is one of the most common health problems in America. Millions of people across the country suffer from this debilitating condition, which can seriously undermine their quality of life. Joint pain can come in many forms. It can start off with redness around the affected area. Maybe you have swollen joints that are warm to the touch, stiffness and even loss of mobility. At the more extreme end of the scale, joint pain is a key symptom of rheumatoid arthritis, an all-too-common autoimmune disease. With so many Americans suffering from joint pain, the pharmaceutical industry is making a killing (literally, in some cases) with the sale of prescription meds. These meds may be effective in alleviating the pain associated with joint inflammation. However, they also expose the user to a wide range of health-damaging side effects. Unsurprisingly, many people are turning to natural remedies to resolve their joint pain issues. Extensive anecdotal evidence and increasing scientific research has highlighted that there are many herbs for effectively treating joint pain. And the best part is that these herbs, when used wisely, don’t have all the adverse side effects that expensive prescription drugs do. To help you get back on the path to pain-free living, here are six herbs for joint pain and how to get more of them in your life. Easily topping the list of herbs that fight joint pain is turmeric, which is incidentally one of my favorite culinary spices. Turmeric continues to dazzle the scientific and medical communities. It has seemingly endless healing powers, largely on account of its high concentration of the active ingredient curcumin. Along with fighting cancer and building a stronger immune system, the curcumin in turmeric is highly anti-inflammatory. And because inflammation is the main contributor to most cases of joint pain, more turmeric means less pain. Plus it makes many dishes taste amazing, so why the heck wouldn’t you? A 2012 study published in the Journal of Phytotherapy Research showed that curcumin has strong anti-inflammatory and anti-arthritic properties. 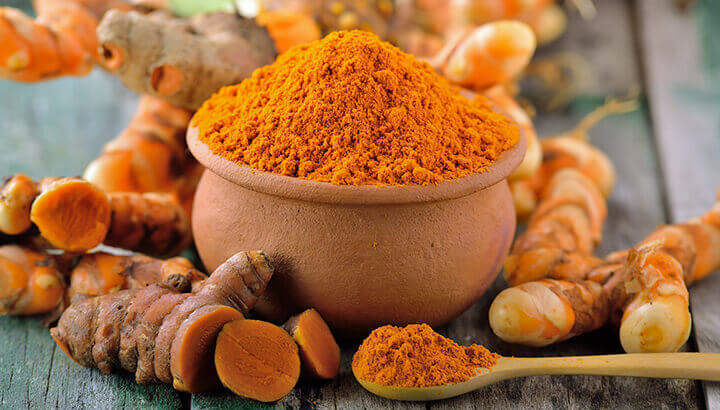 The randomized, clinical pilot study sought to determine the safety and efficacy of curcumin alone and in combination with diclofenac sodium, a common non-steroidal anti-inflammatory drug (NSAID). I find the best way to get more turmeric in my diet is to always have a root or two sitting in the fridge. Whenever we cook up stews, curries, roasts or anything hot and savory, fine-chopping or grating a little turmeric root into the meal adds a delicious flavor and a great healthy element. It also goes well in smoothies. You can even sprinkle turmeric powder over your barbecued steak, sausages or burgers to lower their carcinogenicity. Nettle tea has long been touted as an excellent cure-all for many ailments. Nettle leaves contain an impressive array of vitamins and nutrients. These include lots of calcium, phosphorus, iron, magnesium, beta-carotene and vitamins A, C, D and B. For this reason alone, a daily cup of organic or home-brewed nettle tea can make big improvements to your health. Beyond the general health benefits, however, nettle can also be used as an effective treatment for joint pain. Combined with its potent collection of healing minerals, the anti-inflammatory abilities of nettle make it dynamite against many forms of arthritis and even gout. Nettle actually heals the body while alleviating the pain in your joints. This may lead to an improvement in your condition over time. That’s something which your typical prescription meds could never boast. In addition to its internal benefits, stinging nettle has even been shown to treat joint pain when applied topically. A study published in the Journal of the Royal Society of Medicine conducted a randomized, controlled, double-blind study in 27 patients with osteoarthritic pain at the base of their thumb or index finger. After five weeks of applying stinging nettle directly to the area of pain, it had a significantly greater pain-alleviating effect than a placebo treatment. While the above study was certainly effective in relieving joint pain, it’s not exactly the most pleasant way to treat it. One way to get all of the benefits of nettle is to track down a well-respected, organic nettle tea at your supermarket or health food store. You can also harvest it yourself. There are generally plenty of fresh nettle shoots growing in early spring around your neighborhood. Just make sure you wear gloves when you pick it. Also avoid any areas of high contamination (such as beside roads or industrial areas). As always, do your homework first! Boswellia, also known as frankincense, has been used by many cultures as both an aromatic and medicinal treatment for thousands of years. Derived from the gum of boswellia trees, this herb is said to aid in joint treatment by blocking inflammatory leukotrienes. These compounds are often associated with autoimmune diseases and have been directly linked to rheumatoid arthritis. One of the best ways to get the most from your boswellia is to apply it topically. This is much safer than ingesting it. I buy therapeutic-grade frankincense essential oil. Whenever I feel aches and pains coming on, I mix it with a carrier oil. Then I apply it directly to the source of the pain. Flaxseed is one of nature’s great sources of omega-3, a fatty acid which exerts powerful anti-inflammatory abilities. It also contains plenty of other vitamins and minerals, making it effective for alleviating joint pain and swelling. The body converts the omega-3s in flaxseed into anti-inflammatory compounds after consumption. They then work to prevent the formation of leukotriene B4 and prostaglandin E2. These are two pro-inflammatory compounds that contribute to tissue destruction and pain. 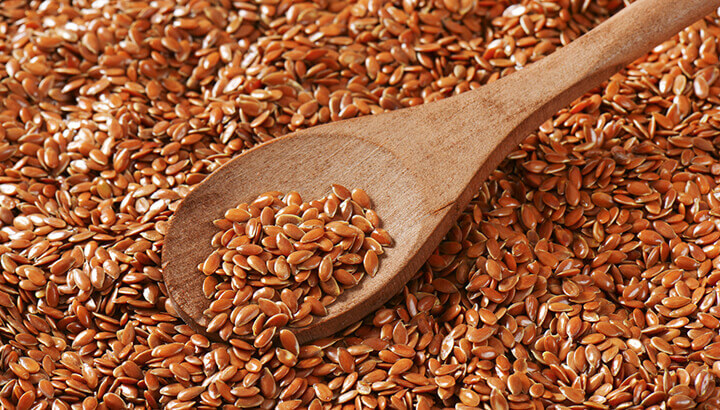 One to two tablespoons of flaxseed per day is enough to get its many health benefits. Enjoy flaxseed by sprinkling it over your cereal in the morning. Maybe add it to a smoothie or slip it into baked goods. Not only is it ultra-healthy, it also adds a rich, earthy taste to snacks and meals. Far from the fake licorice sugary treats you find in the candy aisle of your supermarket, real licorice root has been shown as an effective treatment for rheumatoid arthritis and other forms of joint pain. Licorice works by decreasing the activity of free radicals at the site of inflammation. This can otherwise cause tissue damage and cell degradation. Licorice root also supports cortisol production, which suppresses immune response and hence eases joint pain. Not only that, it seems that licorice prevents some of the side effects of the hormone cortisol. This means you get the pain-lowering benefits without the adrenal fatigue and anxiety. 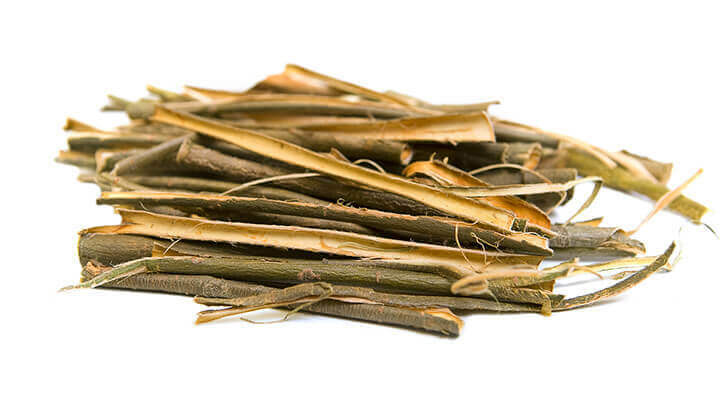 Willow bark has long been used to treat inflammation, along with a wide range of other ailments. Historic records show that over 2,000 years ago, people with inflammatory conditions chewed on willow bark to treat pain. A study published in the Journal of Phytotherapy Research used a randomized, double-blind two-week study to determine the viability of using willow bark as a treatment for osteoarthritis. The results showed that after two weeks, pain associated with osteoarthritis was reduced by 14 percent. This makes it a reasonable treatment for osteoarthritis. There are plenty more foods out there that have been proven in the fight against joint pain. Here are a few more that you might want to look into! Hey Buddy!, I found this information for you: "6 Herbs That Fight Joint Pain And How To Eat More Of Them". Here is the website link: https://www.thealternativedaily.com/herbs-that-fight-joint-pain/. Thank you.